Gastroparesis is characterized by delayed gastric emptying with associated symptoms of nausea, postprandial fullness, bloating, upper abdominal pain, early satiety, and, with more severe disease, vomiting in the absence of mechanical obstruction. The most common causes of gastroparesis are idiopathic, diabetic, and postsurgical. Metoclopramide is the only FDA-approved medication for the treatment of gastroparesis. In patients with diabetic gastroparesis, incretin-based medications (e.g., the amylin analog, pramlintide) and GLP-1 analogs (e.g., exenatide, liraglutide) may delay gastric emptying. The general principles of dietary management are based on measures that optimize gastric emptying (e.g., blenderized, low-fat, low-fiber diet) while meeting the patient’s nutritional requirements. There is still considerable unmet need for the medical management of gastroparesis. 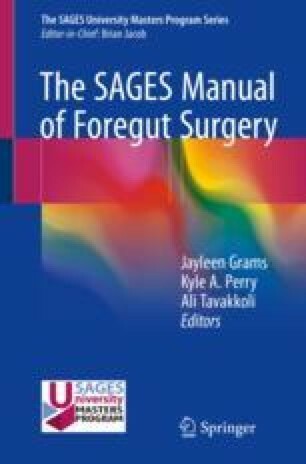 Novel pharmacotherapy with prucalopride and relamorelin is promising, and endoscopic or laparoscopic interventions (considered elsewhere in this book) may change the landscape of therapeutic interventions for treatment of gastroparesis. We thank Mrs. Cindy Stanislav for excellent secretarial assistance.